Mark Webber wowed the fans with a rip-roaring drive from 18th on the grid to 3rd place in last weekend’s Chinese Grand Prix, but are there any other drives from the past that were just as impressive? The Badgerometer investigates! Nobody forgets their first win, especially if you come through the field from nowhere. 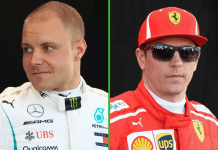 Rubens Barrichello had come close so many times before driving for Jordan and Stewart, but once he was signed to partner Michael Schumacher at Ferrari, many thought he would ease to his first win. Alas, it would take a chaotic race at the old Hockenheim for the Brazilian to break his duck. The polarising figure of Michael Schumacher can not be exemplified more than in the Belgian Grand Prix of 1995. The German and his arch-rival Damon Hill had suffered due to Spa’s nature of producing rain from nowhere, which put Hill in 8th and Schumacher further back in 16th, but in more changeable conditions Hill had moved up to lead by half distance. When Hill made his first pit stop for fresh slick tyres, Schumacher took over at the head of the field. It then started to rain and while Hill went back to the pits for wet weather tyres, Schumacher stayed out on his slicks. The Williams driver rapidly caught up with the German, but despite lapping six seconds a lap slower, Schumacher was able to keep Hill behind him until he went off the wet track and Hill passed him. Almost immediately the changing track conditions began to favour slicks once more and Schumacher re-passed Hill who pitted again, this time for slicks. The rain intensified, and both men stopped for wets for the final showdown. But, thanks to the Brit speeding in the pit-lane and having to serve a penalty, Hill spent the final laps catching and passing Martin Brundle for second place. Schumacher won, but the manner in which he defended his position from Hill came under intense scrutiny from all quarters. Kimi Raikkonnen may be mixing it up on gravel at the moment (with one eye on cracking America), but we should never forget just how brilliant a driver he was in F1. One of his best drives – arguably the best – happened in Japan in 2005. The Saturday had been a rain affected qualifying that had put all the title contenders way down the field. 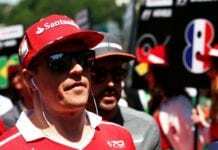 Fernando Alonso and Michael Schumacher lined up in 14th and 16th places respectively, but it was even worse for the McLarens – the Iceman was 17th while hot-headed team-mate Juan Pablo Montoya was one place behind in 18th. From the off it was clear the usual names were going to have to work hard all afternoon to gain places. 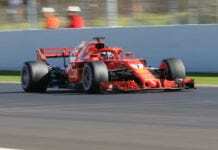 Alonso managed to jump to eighth by the end of the first lap, but Kimi went wide and lost yet more places. A glimmer of hope happened when Montoya crashed so heavily that the safety had to make an appearance. That played into McLaren’s hands after all, closing the gap for Raikkonen and also helping with their pit-stop strategy. It was Kimi’s final race win for McLaren, and will go down in his career as one of the greatest drives. Now, we at Badger love the nostalgia the ’60’s hold for F1. Jim Clark seemed to be a driver apart from the rest, especially when he had the bit between his teeth. He was comfortably leading at Monza in 1967 when a tyre punctured. He lost an entire lap while having the wheel changed in the pits. Rejoining sixteenth, Clark ripped back through the field, progressively lowering the lap record and eventually equalling his pole time, to regain the lost lap and the lead. He was narrowly ahead of fellow legends Jack Brabham and John Surtees starting the last lap, but his car had not been filled with enough fuel for such a performance: it faltered, and finally coasted across the finish line in third place. 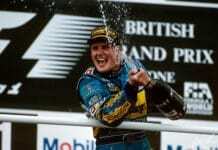 Although Clark didn’t win that day, it was a remarkable drive that showcased his talent better than any win or title. The greatest comeback drive for Badger can be summed up in the next two videos. Just for your info, the McLarens of John Watson and Niki Lauda had qualified 22nd and 23rd, but that wasn’t going to mean their afternoon was over. Here’s the extended highlights of the race for you to enjoy!